Dubai has its own local festivals; however this multi faith tolerant state also celebrates Christmas with great enthusiasm and massive joy. Therefore, the Christian Expatriates of Dubai have to feel at home during the Christmas season, enjoying the Christmas parties, events, discount offer and decorations. As always, this year too, Christmas will be celebrated with much trumpet blast in Dubai. 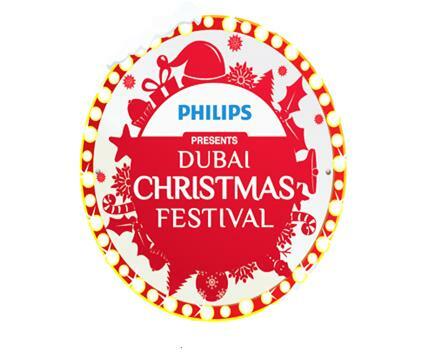 The First-Ever Dubai Christmas Festival (DFC) will be conducted at Dubai Media City, from 6th to 8th December, 2012. This amazing outdoor festival is wonderful opportunity for the Christian expats and tourists in Dubai who feel isolated from their families to come and embrace the spirit of the season by socializing, buying gifts and enjoying cooking, eating etc. The DCF will showcase a shopper’s festive paradise, numerous Christmas workshops, regional bands, generous menus, and much more. Keeping in view the feelings of the Christian expats of Dubai in mind, the first ever Dubai Christmas Festival will be organized in at the famous Dubai Media City. This wonderful festival is planned by the organizers of the renowned Taste of Dubai, Turret Middle East, and is sponsored by Philips. Dubai Christmas Festival is a three-day’s outdoor event. You can purchase the tickets in advance or on the door, but the prices will vary. The tickets for adult that will be purchased in advance are AED 30 each and at the door are AED 40 each. The children between 2 to 12 years old will be charged AED20 each for advance tickets and AED25 each for the tickets at the door. There is free entry into the festival for kids under 2 years. Dubai Media City, Dubai, United Arab Emirates. Infotech, Dubai Internet City 1 is Dubai Media City’s nearest bus station. It is just 90 m away; making 1 minute’s walking distance. All you have to do is, get into bus No. 8, 83, 85, 88 and X28 in order to reach this bus stop. Once you reach here, head southwest and find your destination right in front of you.